Parenting IS the most difficult job in the world. The Journey of Personal Development magically enfolds in front of the Parents that are at all times asked to increase their capacity to Love, and Understand this complex matrix of impulses we call Life. The world belongs to our children and we are their soil, their water, their air and if we are full of love, understanding, and wisdom our children will grow into free and inspired adults. It is possible to get the art of parenting RIGHT: our children need our Love need our support and need our sanity within this amazing matrix of choices we live in. They need us to guide them towards healthy nutrition or behavior and inspiring activities, life enriching friends, etc. Unfortunately it is easy for parents to lose themselves in PARENTING RESPONSIBILITY, in day to day tasks, in screams of demanding children, within PARENTING RULES and PARENTING ROLES. A harsh or skeptical parent can easily subdue the life force of the child. The energy of a warm, gentle, loving parent will be absorbed unconsciously into the new forming mind maintaining a deep devotion to Life. Parenting teaches us that no matter how much we try we will not get it RIGHT the first time; we (human beings) need to GO through an experience a number of times, to be able to learn. Helping a sister, who just had a child, is still a completely different experience from having your own child. The one who has never been a parent will have difficulties understanding all the struggles, traumas, and complications; a parent needs to go through in his or her role as a Parent. However, it is possible to get it RIGHT the second, the third or perhaps the twenty-fourth time. It is important not to give up, get discouraged, or forget that we can aim to reach our highest potential even when constantly challenged with various demands for more and more chocolate, for more and more TV, for more and more games, for more and more expensive gifts, for more and more time. It is possible to get it RIGHT if we stick to the very basic principle of Personal Development and Spiritual Growth: encouraging within us and our children a strong capacity for feelings, rich soul experiences, training the willpower, within an environment that nurture mental, emotional and physical growth. 7. A-Ma Alchemy of Love novel. Artof4Elements has launched the AoL Mindfulness Training Series of 9 fiction and non-fiction books with 7 Authors focusing on spiritual growth, creativity and mindfulness. A series of many genres, including poetry, personal development, historical fiction, the world of ''Alchemy of Love Mindfulness Training'' explores mindfulness, alchemy, and reaching ones highest potential. Taking a commitment to grow, work on Self, Spiritually Develop, we take responsibility for our lives. 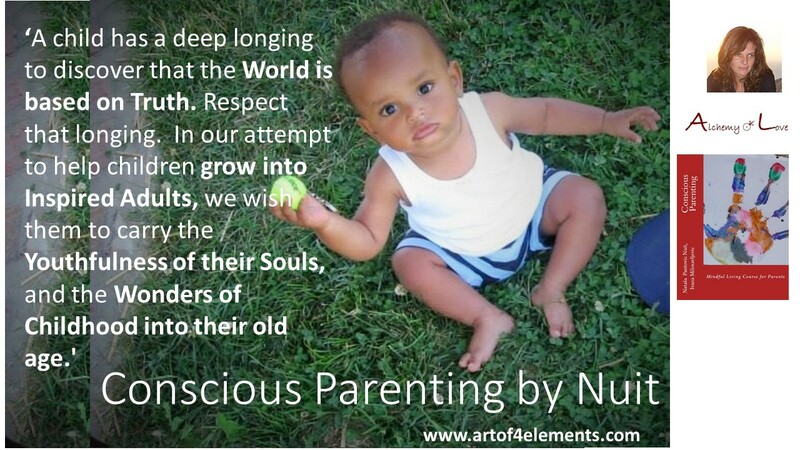 Parenting is the most amazing spiritual experience one can go through. It exercises our Will Power, and strengthens our capability to Love. It is free, it is constant, it challenges our existing beliefs, and breaks our Ego Structures. And it is always extremely rewarding! How do you tell if a Person has a Soul?